Culminating September’s Suicide Awareness and Prevention Month, Didi Hirsch Mental Health Services will hold its 19th Annual Alive & Running 5K Walk/Run for Suicide Prevention on Sunday, September 24, 2017 beginning at 7:00 a.m. at West 88th Street & La Tijera Boulevard just north of LAX. 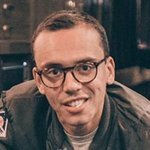 The month began with suicide prevention in the spotlight as 50 Didi Hirsch staffers, clients and volunteers-many of whom have attempted or lost loved ones to suicide-joined Def Jam Rapper Logic on stage at MTV’s Video Music Awards as he performed his suicide prevention song “1-800-273-8355,” the National Suicide Prevention Lifeline number. Alive & Running is an inspiring, life-affirming gathering of people affected by suicide that remembers loved ones and raises money and awareness for Didi Hirsch’s Suicide Prevention Center-the first and only one of its kind in the nation. The family-friendly event, which includes live music, speakers, children’s activities and a Health & Wellness EXPO, is expected to have 2,500 runners, walkers and volunteers and to raise over $350,000 for the Center. With the Centers for Disease Control and Prevention reporting that suicide for teen girls is at a 40-year high, the event is expected to draw hundreds of high school and college students who have been affected by suicide and want to support prevention efforts. The Sound 100.3 FM is Didi Hirsch’s media partner for the event. 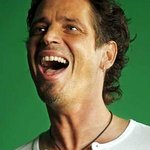 In memory of Soundgarden’s Chris Cornell and Linkin Park's Chester Bennington, two musicians who recently died by suicide, The Village CEO Jeff Greenberg also has partnered with Didi Hirsch to focus attention on how the music industry is affected by mental illness, substance use and suicide. He formed a team called The Village People and is urging musicians, artists, music executives and fans to come together against suicide.